Exploring our boundaries can help us to create more space in our lives and our ways of being. 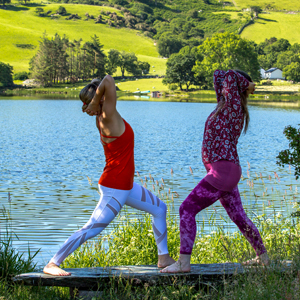 Join experienced yoga teachers Sandra Robinson and Claire Mace at Trigonos retreat centre for this Forrest Yoga Retreat in beautiful Snowdonia, Thursday 1st August to Sunday 4th August 2019. What are your boundaries? What is you, what is not you? Do you perceive these boundaries as self-imposed limitations, as psychological constructs, or something else? And how can exploring your boundaries help you to create more space in your life? In this retreat you will work with how you experience your own boundaries: where they are, how you set them and what happens when they get crossed. You will also explore the crucial relationship between boundaries and your power to say “yes” or “no”. One of the gifts of boundary setting is in enabling you to experience more space. In some systems of thought, space is seen as one of the five elements, along with fire, water, earth and wind. How do you relate to the helpful and unhelpful aspects of space in your life? Do you fill every gap in your schedule with busy-ness and scheduled activity? Do you like to have a lot of space around you? In this four day, three-night retreat you will work with Forrest Yoga practices and process work to explore your relationship to boundaries and space. There will be the option to join in with guided walks around the area, to book a massage, or listen to storytelling in the library before bedtime. 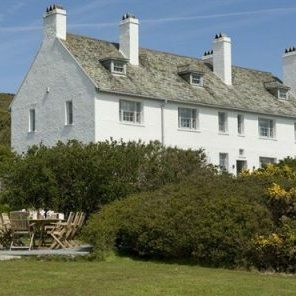 You will stay at Trigonos Retreat centre in the Nantlle valley in Snowdonia, amid a stunning landscape of mountains and lakes. The vegetarian food is high quality and delicious, with many of the vegetables grown on site, and the rooms are clean and comfortable. You can check in from 3pm on the Thursday, and we’ll start with a Forrest Yoga session at 5pm. The retreat will end after lunch on the Sunday at around 2pm. If you are coming by public transport, the nearest train station is Bangor. All options include dinners on Thursday, Friday, Saturday and lunches on Friday, Saturday, Sunday. Options with a room also include breakfast. Sandra Robinson is a Forrest Yoga Guardian. 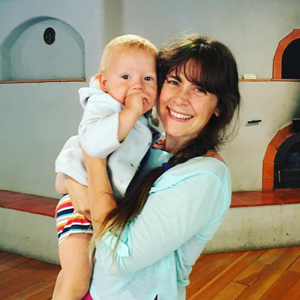 She is one of the hand-picked senior teachers of international yogini superstar Ana Forrest, and offers workshops and teacher training both from her studio in Peterborough and around the world. She is also a Body Psychotherapist and fascinated by how change happens through a deep acceptance of who we are. She has a talent for working with groups, creating a safe environment where students can explore their own process. 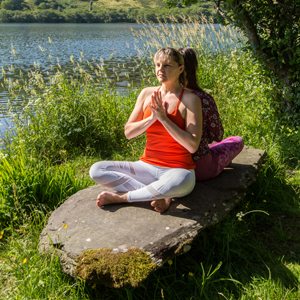 Experienced Forrest Yoga teacher, singer, storyteller and shamanic practitioner Claire Mace lives and teaches in North Wales. She is deeply moved by the depth of this ancient landscape and the power of nature. Through her intuitive and warm approach she guides her students into deep transformative places, where they emerge as more alive and vibrant human beings.